We booked this tour as a shore excursion from our cruise ship. We had limited time and explained to Panos the things we wanted to do and he made it all happen!! We visited Knossos Palace (my favorite of the archeological sites we visited in Greece), drove through the country side and up to a very high point for breathtaking views, wine tasting (even though most of the vineyards are closed this time of year, panos still made it happen), and a walk through the Heraklion city center for a taste of local Crete food (yummm). I highly recommend this tour. Private tours are the way to go. Spend a little more money for a more personal tour and skip the lines/crowds and I promise your experience will be so much better! ευχαριστώ Panos! When I first planned a tour to Crete as a graduation present for my 17 year old grandson I knew the most important part of our trip would be the quality of the tour guide. My grandson has been studying the Minoans since he was a small boy and I needed a guide whose knowledge and passion matched his. Thankfully, Panos found me that guide, Dimitra Pilarinou. As a PhD in archaeology, she could answer every question, but even more important, she presented the material with drama and enthusiasm that kept both a teenager and his grandmother enthralled. My thanks to both Panos and Dimitra for making our trip the trip of a lifetime. Fun and Scholarly Tour with Panos! My family and I used Panos. It was very last minute and in the quiet season. Nonetheless he managed to put together an excellent tour for us. His organisation and professionalism was on par with his knowledge, which was simply brilliant. He understood the archaeology, history and mythology, like he was actually present during the rise, fall and decline of the Minoan civilisation. Very highly recommended. We booked a tour of Knossos site and Heraklion museum with Panos, I highly recommend Panos and his team for their rapidity and professionalism during the booking process, and for the quality of the tour. Panos took time to give us a detailed background on Knossos and the Minos civilization, and provided us with lots of interesting explanations and details, both on site and in the museum, that we would not have had if we had visited by ourselves. Thank you! Very professional and helpful company, prompt and clear with both communication and organisation. Panos very helpful in helping us organise a guided tour. Dimitras our guide was a great mix of accurate knowledge interwoven with story telling and enthusiasm. We were very happy and the tour was above our expectations. The two hours flew by and the whole tour was nicely paced. Before my visit to the Crete Island, I found a YouTube video with a beautiful landscape that I wanted to photograph. Unfortunately the place was not close to the city there I stayed (Heraklion), nor do I want to drive on the Crete Islands. 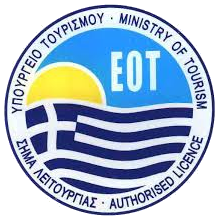 After some research I found Panos Kritikos and the Cretan Tour Experts Travel Agency. I contacted Panos if he could arrange a tour to this place. He did very quickly understand what I wanted, and gave me an excellent suggestion for a tailor-made tour that I booked. On the date for my tour Panos arrived on time to pick me up at my hotel, and drove very safely to the location for the photographing. I had plenty of time to get the picture that I wanted and afterwards, he drove safely back to my hotel – a prefect organized tailor-made tour. My wife and I had a great experience with Panos and Demetra of Cretan Tour Experts. This outfit is very reliable. Pick up at our various hotels was consistently on time. The tour vehicles are modern, clean and well maintained. Our guides were knowledgeable and pleasant to spend time with. Panos took care to listen to our interests and tailor our day tours accordingly. We highly recommend Cretan Tour Experts. Panos was a wonderful guide! We spent two days with Panos during our wonderful visit to Crete. He gave us a great tour of archeological sites, the cave where “Zeus was born” and a very special “Food Tour” day. He was prompt, knowledgeable and gave us a personalized adventure! On our Food Tour, we loved the attention to detail in experiencing a local deli with cheese, wine, spreads and breads, bakery, souvlaki stop, and restaurant. It was a special experience in Heraklion which is the home of the Mediterranean diet. I highly recommend Panos for your touring in Crete. This was an excellent tour. Panos was outstanding and provided information that we could not have discovered on our own. Excellent tour with Panos Kritikos! Panos was great to work with via e-mail to make arrangements for our tour. We wanted to do the Palace of Knossos, some of the countryside, a winery, and Heraklion. The fee for our tour included admission to the Knossos site ( WITHOUT waiting in line) and admission to the winery. Panos was prompt to pick us up and we were in a very comfortable Mercedes van. He was very knowledgeable and gave us a great tour of the Knossos site! He managed to get us into areas and rooms ahead of the large tour crowds and provided us with great explanations of the history of the site and the Minoan civilization. We drove through some beautiful countryside on our way to the winery. Lyrarakis Winery was terrific! They have an excellent selection of wines, and we enjoyed quite a varied tasting! We purchased a sparkling wine and hope to locate it here in the US!! We enjoyed our walking/shopping/lunch in Heraklion. It is a beautiful old city! Thank you Panos for a most wonderful two days. I highly recommend this company. Panos is a wonderful, knowledgeable, and organized guide who provided our group of eight cruise ship passengers with an informative and fun day in Crete. Everything was seamless and well-organized, including: our prompt pick-up at Agios Nikolaos port; our transportation in a comfortable vehicle; our entrance and tour at Knossos; our entrance and tour at the Heraklion Archaeological Museum; and our delicious family-style lunch at a taverna, where we enjoyed an abundance of local dishes. Panos had planned the details perfectly so that we could best enjoy the highlights during our short time in the area. Panos has a wealth of knowledge of archaeology and history, and he is an excellent communicator. He is the perfect guide for explaining the Knossos site and the museum artifacts. He is able to share his expertise and passion in a friendly and approachable manner. I learned so much throughout the day! I was also very impressed with Panos’ patience and professionalism, from the first email I sent him to inquire about tours. He promptly answered all my questions, and he worked with me to plan a day that would work best for our interests and cruise timetable. We had an excellent day with Panos! Panos is an excellent guide for anyone interested in the Minoan sites. Phaistos and Knossos are fascinating by themselves but Panos added interpretation that made the visits memorable. He also took us to Gortyn, which we would not have considered going to otherwise, and it opened up another chapter in the history of Crete, the Roman occupation. Panos is an good companion for the Heraklion Minoan museum. He helped us focus on a few very important pieces in a collection that is wonderful but somewhat overwhelming. Panos is also an excellent companion if you want to learn about what is going on in modern Crete. We booked online because the site had nice reviews. We went to spinalonga and elounda for a day tour. To tell you the truth we always avoid massive touristic destinations, but everyone was telling us we should visit spinalonga. And we are glad we did! It was amazing! Dimitra explained us everything about the history of the small islet and she traveled us through its thriving history! Dimitra was excellent! Professional, friendly, informative and with a great sense of humour. Everything was arranged by the agency. Our transfer from the hotel, the boat tickets and our return. I would definitely recommend it to anyone. It was fabulous. Not to forget to mention the excellent lunch we had in Elounda. Plenty of chooses. Thank you Dimitra for the perfect day! There are more about Crete than stunning beaches and landscapes. Following excellent recommendations, we got in touch with Panos, who guided us throught a journey of mythological, archeological and historical events taken place thousands of years ago. Our exploration started in Knossos, where we could contemplate the palace which was house to the oldest civilisation in Europe. Our guide was mindful at all times, sharing his knowledge with us, at the same time instigating our curiosity and also guiding our visit, avoing big groups of tourists. From Knossos, we headed up to Heraklion Museum, which has been rebuild recently and has a modern european look. There we observered Minoan art and artefacts. Our immersive experience into Greek culture finished at Greek restaurant recommended by our guide. So happy we used Cretan Tour Experts on this trip. We wanted a custom private tour of each Knossos and the Heraklion Archaeological Museum. Other providers had longer tours combined with other stops we were not interested in. I found Tour Experts by looking through Trip Advisor Reviews. I worked with Panos to set up our tours on two consecutive mornings, he gave great advice on each and the price was very fair. Dimitra was our tour guide on both and she was fantastic. Speaks great English, incredibly pleasant to be with, an archaeologist by trade and so knowledgeable. Dimitra brought Knossos and the Museum to life! When you have a great tour guide on such meaningful and interesting historical sites the experience is just so much better. At Knossos we had such a superior experience vs the huge packaged tours where the guide didn’t know much. Dimitra’s perspectives and insights on both were great and so much more interesting than just reading the signs. Highly Recommend!! Panos was very professional and exact; and communicated very timely prior to our tour. He was extremely knowledgeable and professional and I cannot make any complaint. I knew his fee and the agenda prior to our tour. I don’t like to be negative without offering constructive criticism; but I will say, overall, this experience did not ‘wow’ me. We spent about 2 hours at Palace of Knossos; then drove to the National Archeology Museum for his 1 hour highlights guided tour. He then pointed out a few places nearby in the square we could have lunch. In conclusion, he delivered everything as promised. So I give an overall average rating. For the price we paid, I did not think there was anything ‘over the top’ to make this a remarkable experience. Perhaps it is a matter of the locale and or subject matter. Absolutely wonderful tour of Knossos and the museum in Heraklion. Panos was fantastic and his love and passion for prehistoric archaeology and the history of Crete was evident. Knowing my daughter wants to be an archaeologist, he was thorough and spent extra time with her to make sure she understood everything! Panos went above and beyond and it started with his excellent communication in setting up our transportation and tours. He was waiting for us for our pick up from the airport and we went straight to our first tour in Knossos. Following our tour of the museum, he dropped us off at our apartment and made sure we were all set. All seemed to be seamless. We really enjoyed our time! I can’t recommend this company highly enough! We confirmed Panos as our guide for a private tour of Knossos Palace and the Museum of Archaeology in Heraklion and had a fantastic day. We were collected from our hotel and returned at the end of the tours which made it a very personal experience. Panos’s passion and knowledge for the history of the island of Crete was amazing and we will gladly recommend him to anyone we know that wishes to share the same experience. We had a wonderful tour of Knossos with Ioanna and we learned a lot! The weather started out with heavy rain, but turned to sunshine at the end. It’s good to go to Knossos when it’s not too busy. Really great private tour and we would highly recommend this company. In summary this tour was really hard to fault. My wife and I did a number of other tours in Athens and Santorrini and these two tours were the pick. Panos is excellent and we do not say that lightly.The email communication leading up to booking the tour, the service, itinerary, transport and communication provided during the tour were appreciated and enjoyed. It really made our holiday in Crete even more enjoyable. If you are visiting Crete and you are looking for a tour company to provide a truly memorable experience for you and your family there’s no need to look any further than Cretan Tour Company. Our family of four utilized them for our private tours during our three day visit this August and they were amazing. We called Heraklion home base during our three day stay and took day trips to Elafonisi, Knossos and Spinalonga. We knew that our itinerary was very aggressive and it was complicated by distances we needed to cover to get to our destinations but our guide Panos was up to the task and made every one of our day trips special and memorable (not to mention he navigated the tricky roads unbelievably smoothly!). We knew we had chosen the best of the best tour operator as soon as we met Panos. He was a complete professional on every level. His professionalism went above and beyond expectations and I think anybody would be hard pressed to find another guide on Crete who is as intelligent and knowledgeable about the island and its history as he was. My feeling is that the thing that separates tour guides from one another isn’t so much the bigger picture things, ( skipping long lines, bringing you to an area with an amazing view ect.) it’s the little things that they do and that’s how Panos left such a large impression on me. Not only did he pick a local restaurants for lunch but he made suggestions as to what to order. He would also review our daily itinerary and make suggestions in order to help with flow and travel. As you can see I can’t speak highly enough about Panos and the Cretan Tour Company. Good luck in your travels. We were staying on a resort in Malia and wanted to visit the Knossos Archeological site and then the Archeological museum in Heraklion. I emailed to Tour Experts with a suggested itinerary. Panos was very prompt replying and we were all set. He picked us up and drove us the The Archeological site. Having studied Archeology Panos was the perfect guide for our visit to the site. As we went through the site Panos went into great detail telling us about everything we saw. It truly amazed me the depth of knowledge the Minoan’s had amassed. With Panos as our guide we got a great tour of the site. From there we went on to see the Archeological museum in Heraklion as most of the artifacts from the Knossos site are at the museum. Going through the museum Panos guided us to all of the most key artifacts and explained them in great detail. After finishing we went on to a wonderful lunch at a local restaurant. Visiting the Knossos site and also the Archeological museum is really a must for visitors of Crete. You can’t go wrong having Tour Experts act as your guide to these amazing sites. I highly recommend Panos and Tour Experts. My husband is obsessed with Minoan culture and we wanted a private tour of both Knossos and the Archeological Museum, even if we had to pay more. After all, we may never have the opportunity to return to Crete and we really wanted to make the most of our time. Tour Experts—a small company consisting of just a few licensed guides—was a perfect fit. Panos Kritikos, our contact, was extremely responsive by email. He even managed to change our tour time the last minute when we decided to sleep in (he responded pretty much instantaneously to my inquiry). Our guide was Ioanna Christofakak whose knowledge of Minoan culture was outstanding. When we arrived at the museum a few minutes early, she was already waiting for us with tickets at hand. We had a lot of very specific questions, but she managed to answer them all and provided us with good information on 700 years of Minoan history without overwhelming us. We were able to focus on the highlights but were still able to have it be tailored to our interests. It was expensive but we felt it was worth every euro. We will never forget Knossos, and if you have time, we recommend also spending a day in Phaistos (about 1 hr 15 min south) for comparison as the two sites have very different presentations. If you do the tour of Knossos, ask Panos for the best time to go to avoid the cruise groups (time changes depending on day). We highly recommend this company for the quality of their tours! Today our group of 15 cruisers did a tour of Knossos and the Archaeological Museum with Dimitra. The whole day was perfect. Dimitra is easily one of the best tour guides we’ve met, incredibly knowledgeable, passionate and a good communicator as well as fun and great with a large group. The tour itself was just right given we only had one day. Everything possible was already sorted in advance to save us time and the time spent in each site was enough to get a good understanding but not too much given the hot day. Organising the tour was also very easy, Panos is a great communicator and it was always clear what was being offered, the cost etc. Overall cannot recommend highly enough! My husband and I very much enjoyed our tour of Knossos. Panos told us about Minoan civilization, and explained what took place at various spots on the cite. We used the tickets, which he provided, to visit the archaeological museum in Heraklion, where we saw the famous frescoes and other objects, and we had the sense that we knew where these things came from and what they meant. What an amazing day! Demitra was extremely knowledgeable and we had an amazing day with her! We visited the Palace of Knossos and then headed out to Spinalonga. We heard so much about Crete and really enjoyed every minute of it. She went out of our way to make sure that we got to see everything we wanted to. Would highly recommend them for anyone looking to do a private tour. We will definitely use them again when we head back to Crete. Panos was waiting to meet us at the specified time and place and had even upgraded our tour to a more roomy vehicle to assist one of our party. The tour was adapted to our wishes very easily and we had a very enjoyable time. Panos is a very knowledgeable tour guide and had a lot of information to share about Crete. We would have no hesitation in recommending Tour Experts and would like to thank Panos for the friendly and professional tour. Great day with Panos to Elafonissi! Our family of four took the day and went with Panos to Elafonissi Beach – on the way we stopped at a lovely village for snacks and went back there for a delicious lunch on the way back. Panos is very knowledgeable about Greek history and the island of Crete – I highly recommend him for this excursion or really anywhere on Crete. I wish we had had him with us for Knossos and the museum in Heraklion! Tour Guide Demetria gave us a very thorough and insightful tour of Knossos. She has a tremendous wealth of knowledge about the subject and great enthusiasm and passion for the material, all of which came through in her presentation, spoken in impeccable English. Along the way to our next stop, Agios Nikoloas and surrounding areas, she gave us a lot of insight into the island of Crete. We walked about Agios Nikoloas with her guidance and explanations, and then proceeded to drive along coastal resort area to enjoy the scenery, take pictures and dine at one of her recommended restaurants. My family (two adult children and wife) enjoyed the comfortable van ride throughout, and we received more details about Heraklion upon our return and drop off at that location in order to get back onto our cruise ship. Fantastic Tour and Car Service! We had such a wonderful day with Panos at Knossos Palace and the Archaeological Museum in Heraklion. Panos is so friendly and extremely knowledgable. He made Knossos come to life and gave us an in-depth look at Minoan culture at the museum (which is a must-see). Panos also provided our transfers from the Heraklion airport to our hotel in Elounda and then from our hotel to the Heraklion ferry port and everything went off without a hitch. When we got to the ferry port, we discovered my son had left his cell phone in the van. I quickly e-mailed Panos and within minutes, the driver went out of his way to head back to the port and give us the cell phone – thank you, Panos! Above and beyond! Wonderful tours and fantastic service! If you want private, professional and friendly excursions in Crete at your own pace,this is the company you need to contact. I study art history and ancient archaeology and have travelled to many sites around the world – so I’ve encountered many tour guides – some good, some not so good. But Dimitra stands head and shoulders above the rest – she made my visits to Knossos and the Heraklion Archaeological Museum utterly fascinating. Her comprehensive knowledge truly brought the artifacts alive for me, and her enthusiasm was totally contagious! She didn’t deliver a set-piece tourist spiel – she listened carefully to my questions, and could answer them in full! Thanks to her I learned an amazing amount in such a short time – new and exciting ideas I still thinking about months later – and she has inspired me to further reading and research on the fascinating Minoan culture. She communicates so well and has so much to share, I would recommend her to anyone visiting the sites. The arrangements were made at very short notice by Panos, but everything was organized to perfection, leaving me free to enjoy the experience. Our Best Museum Tour EVER!! We’ve used private guides in many places around the world and Dimitra was hands down THE BEST we’ve ever encountered. Time flew by with her as she introduced us (2 adults and 5 teens) to the Minoan culture through a tour of the Heraklion Archeological Museum. She’s an archeologist with a wonderful gift of connecting the stories of the past with her passion for history and an ability to connect with her audience in an energetic and humorous way. There’s no better way to bring Knossos to life than to tour the rich treasures of the site with Dimitra providing context and commentary on the scale and timeframe of the Minoan civilization. This was definitely the highlight of our Heraklion visit – each one of the kids gave this tour a big thumbs up! Panos was incredibly accommodating to our requests and Ioanna provided a great tour of Knossos, making our engagement with Tour Experts super easy. Two recommendations: 1) we visited Knossos at 17:00 which was great. All of the crowds were gone and we were pretty much alone at the site. It’s a great time to go. See it before the museum as it puts everything in context. 2) we hit the museum at 8:30, right when it opened. While that was a bit tough for the teens, we literally had the entire museum to ourselves. It was only when we were wrapping up that the tour groups started to arrive. Bottom line: if I could give Dimitra and Tour Experts 6 stars, I would. No need to look further! Great descriptions of all the highlights of Athens. Very friendly and professional. Unfortunately he can’t take you into the Parthenon, but it was lovely to wander around by ourselves. The tour did a fantastic job of avoiding the big crowds too!